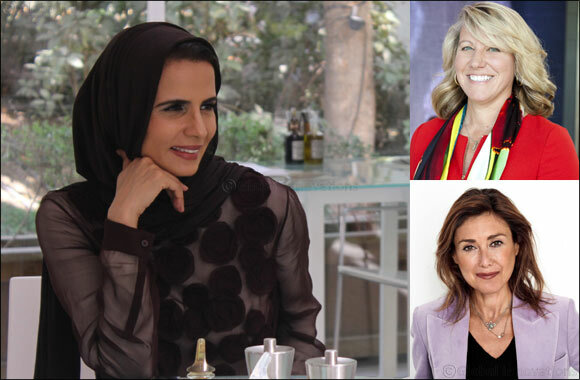 Dubai, UAE, 21 January 2019: When women dominate the sales process and outnumber men in the workforce, their absence from many boardrooms remains a major issue for the retail industry. Getting the gender balance right is a hot topic for retail brands facing new challenges to grab the attention, and retain the loyalty, of today’s tech-savvy generation of shoppers. “A recent ‘Women In Retail’ report states that 60% of retail industry employees are female, while women make or influence 85% of purchases,” says Gary Thatcher, CEO and Co-Founder of The Retail Summit, the important new industry event launching in Dubai next month. It’s a question guaranteed to produce lively debate when The Retail Summit brings together more than 60 industry experts and 600 international retailers at Atlantis, The Palm from 13-14 February. In one of the key panel discussions on ‘Gender Diversity In Retail: Breaking The Glass Ceiling’, Alia Khan, Chairwoman, Islamic Fashion & Design Council, shares the stage with Julie Hamilton, Coca Cola’s SVP, Chief Customer & Commercial Leadership Officer and Suzie Wokabie, Founder, Suziebeauty. “One of our main objectives in launching this event is to create a diverse community for the retail sector that supports conversations to foster gender diversity, promote flexible working practices and nurture female talent,” says Thatcher. Held in partnership with the Dubai Chamber of Commerce & Industry and Meydan One, The Retail Summit will reinforce that theme with an evening reception bringing together industry leaders focused on championing women in retail. They join forces with Massimo Piombini, CEO of French fashion house Balmain to reveal how to create internet ‘buzz’ and delight customers. The Retail Summit was launched in response to digital disruption and the changes in consumer expectations that are transforming retail. Headline speakers include Virgin Group Founder Sir Richard Branson and H.E. Hamad Buamim, President & CEO, Dubai Chamber of Commerce & Industry. Other industry heavyweights addressing the summit will be Julia Goldin, Chief Marketing Officer at the LEGO Group. Goldin is responsible for inspiring the creation of LEGO play experiences which excite and educate children around the world through content, communication and digital channels. She has led her team to launch the brand’s award winning safe social media platform for kids called LEGO LIFE; two highly successful movies - LEGO Batman Movie and LEGO Ninjago Movie; and new products which integrate innovative digital technology to enhance play experiences for kids. The Retail Summit is supported by event partners Dubai Chamber of Commerce & Industry and Meydan One; Innovation partner: Accenture; Silver partners: Black Jack, CBRE, KPMG, Openbravo, SAP, Umdasch and Xpandretail; Strategic partners: BJSS, Cegid, Lava Moments and Nook.